Cleaning the gutters of your home is a dirty job, but it has to be done to allow water to flow through freely without becoming clogged. Clogging poses serious—and costly—risks. 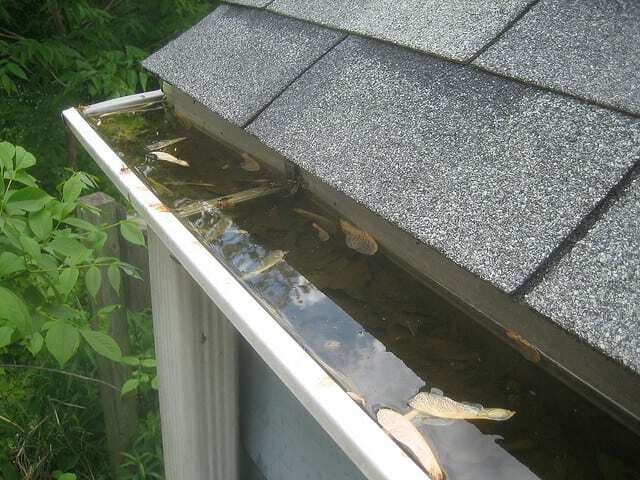 These risks not only include damaging the gutters or the roofing, but water can potentially leak into your home’s interior, and even cause water damage to the foundation of your home. If you’ve never cleaned your gutters before, don’t be tempted to grab just any tool and start working. Having the proper gutter cleaning tools is essential to ensure that you don’t damage your gutters, roof, or the exterior of your home, and to ensure that you don’t risk life and limb while working on them. You also don’t want to repeat the process because the tools you used didn’t get the gutters clean at all. In order to make sure you get the job done right the first time, it’s important to do things in a certain order. Remember, work smarter, not harder! Follow the tips below to note the best gutter cleaning tools for various situations and to make maintaining your gutters a safe, quick and painless task. It makes the rest of the steps go faster if you take the time to climb the ladder and remove the twigs, leaves, and other debris from your gutters by hand. Of course, you will want to put on a pair of strong plastic or gardening gloves first. If you would rather not use your hands to do this, a trowel or a small gardening tool are functional alternatives. As you are mucking out the debris and clutter from your gutters, take the opportunity to check the downspout to see if it’s clogged. If so, make plans to clean it as well. If you ignore the downspout, water can’t drain through it properly. This can cause mold and mildew in addition to sagging gutters, and could also cause downspouts to pool water at your foundation instead of moving it away from the home, as intended. Cleaning the downspout might be a bit much on your own, and you may not have the proper tools on hand, such as a plumber’s snake. So if you notice clogs, it may be best to call in a professional cleaner or even a local handyman. Regular maintenance is important not only to keep the gutters clean, but also to check that the supporting equipment is still working as expected. This includes the gutter spikes that hold the gutter in place on the roof of your house. Be sure to check the fascia board and the rafters behind it to see if the gutters are fastened securely. A visual inspection is typically sufficient for this. If the gutter spikes are loose, consider purchasing and installing new ones. 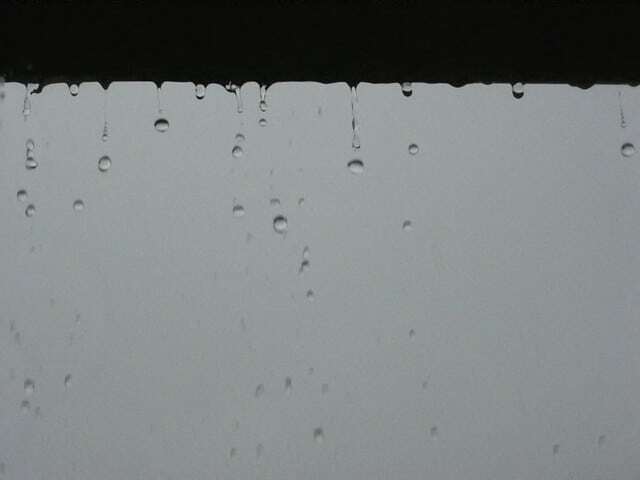 Loose gutter spikes could cause the gutters to eventually bend, crack, and even fall off your roof. You should also look for leaks caused by holes in the gutters or seams with cracked caulking. If you discover any, use an old chisel to remove the bad caulking and then dry the area. You should then seal the area with a caulking or sealing gun to prevent it from leaking again. If you notice that the rivets on the downspout are loose, they will need to be resealed with a rivet gun. At this stage, you have several options for how you want to get the remaining particles out of your gutters. Water hitting the gutters at a high speed from a hose helps to blast away anything that remains. You may have to rent a pressure washer if the force from your garden hose and nozzle isn’t strong enough to dislodge the debris remaining in your gutters. A leaf blower or a wet/dry vacuum are other options you may want to consider. You need to ensure that each piece of equipment has the power you need to completely clear all remaining residue from your gutters prior to selecting a removal tool. Before you climb the ladder to start working, make sure that you have a tarp or cloth to catch everything you clear out of your gutters before it ends up on your lawn. Keeping a regular schedule for cleaning and maintenance on your gutters is essential to the well-being of your home. However, having the proper tools to clean gutters is even more important. If you don’t have the proper tools or just aren’t fond of the idea of clambering around on top of a ladder or your roof, consider having a professional gutter inspection performed instead. Professionals will be able to pinpoint problem areas, fix any damage they might find, and give you all the information you need to maintain your gutters on your own. Home Solutions of Iowa installs clog-free LeafGuard® Gutters which can minimize the need to perform maintenance at all. Contact our representatives to schedule a gutter inspection and learn more about our gutter products.